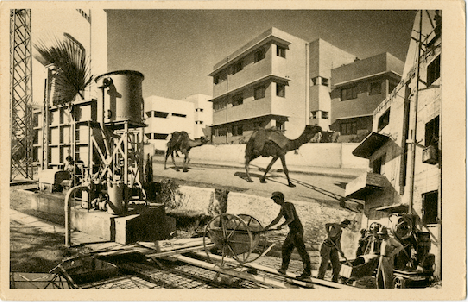 After immigrating from Poland to the British Mandate of Palestine, Benor-Kalter soon found work as a photographer and graphic designer, employed by both the British government and several Zionist organizations. His photographs, taken between 1923 and 1940, established a new visual record, providing a romanticized glimpse into the British colonial endeavor while offering a contemporary view of the plans to create a modern Jewish State in the region. This exhibition presents a complete photograph portfolio and a selection of postcards featuring some of Benor-Kalters most captivating images.